Home to SeaChange Arts since February 2012, the Drill House is located in the heart of Great Yarmouth’s emerging cultural quarter. The Grade II listed building was built in 1867 and is the former home of the 2nd Volunteer Battalion Norfolk Regiment. 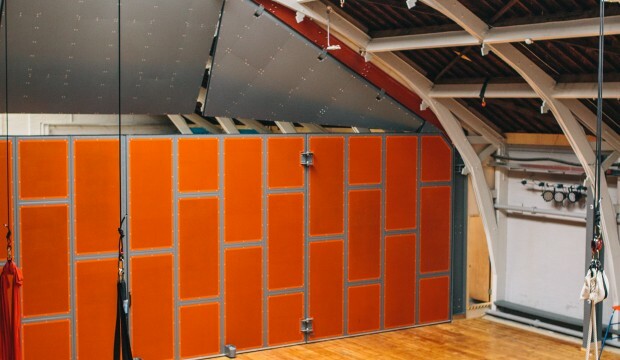 In 2016 the first phase of our exciting redevelopment of the building was completed with £1m invested into the main hall, supported through public funding from Arts Council England. 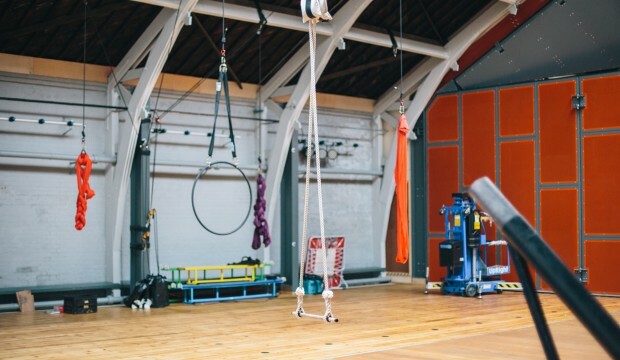 The Drill House is a dedicated circus and street arts creation and training facility offering residencies to artists and companies from these and other disciplines. The building is also available to hire, offering a flexible venue for a range of cultural, community and commercial uses including workshops, training, classes, meetings, events and private functions.